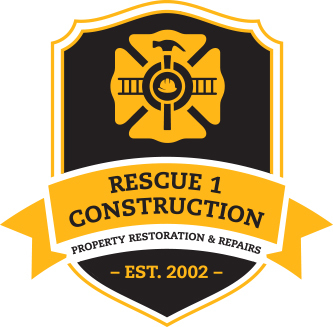 Rescue 1 Construction prides itself on being the top rated general contractor in Overland Park, KS.  Our owner, Mike Kemp, built a team of professionals with top-notch craftsmanship. Your home remodeling and renovation projects will be completed perfectly and to your 100% satisfaction. 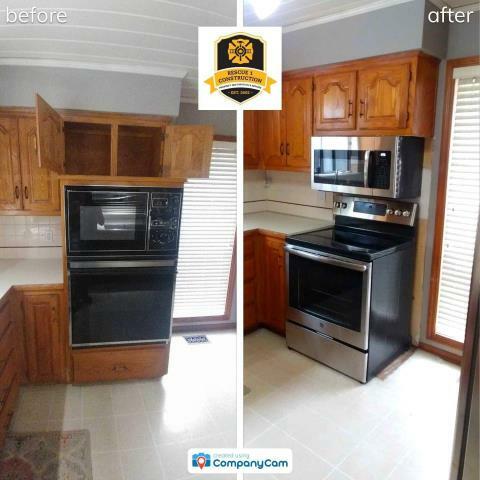 Take your time finding a quality home remodel and general contractor in Overland Park, KS. With Rescue 1, you will have less stress and not need anyone to rescue you from the renovation process. Free estimate for water damage from leaking roof. Free estimate for a whole house remodel. 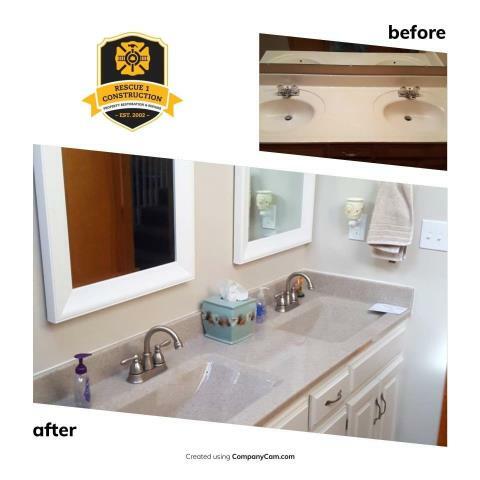 Beautiful bathroom remodel completed by Rescue 1 Construction. 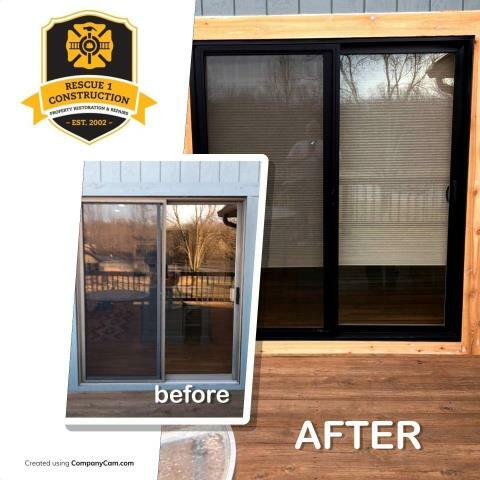 Changing the sliding glass door, made a huge change to the look of this house. Just updating your appliances can change the look of your kitchen. Look at this transformation. 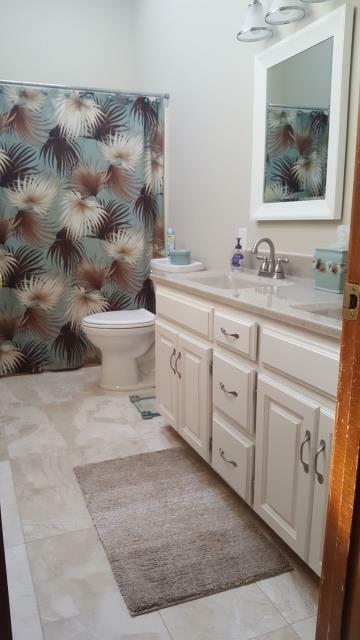 This bathroom is now light and bright. 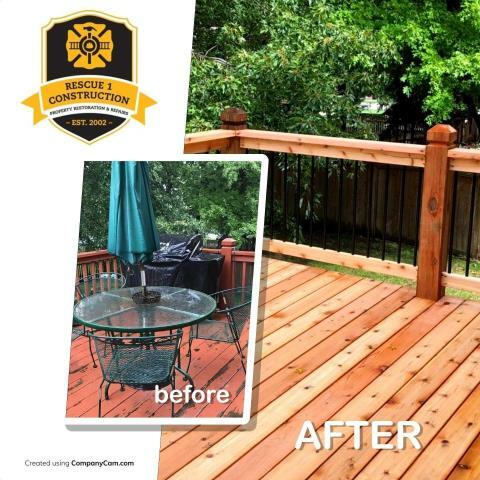 A deck can add a high amount of design to any home and also adds an extra area to lounge. 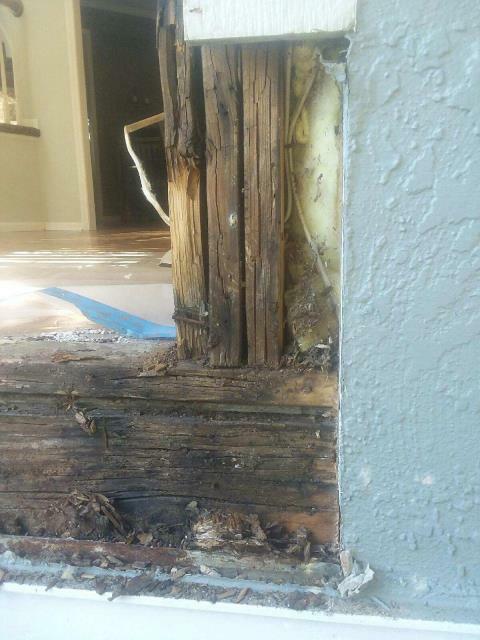 Address rotting wood as soon as possible to avoid more damage later on. Certain amounts of dry rot can be repaired, but it is not recommended if the affected areas provide structural stability to your home, such as with beams and joints. In those cases, you should replace the wood instead of repairing it. 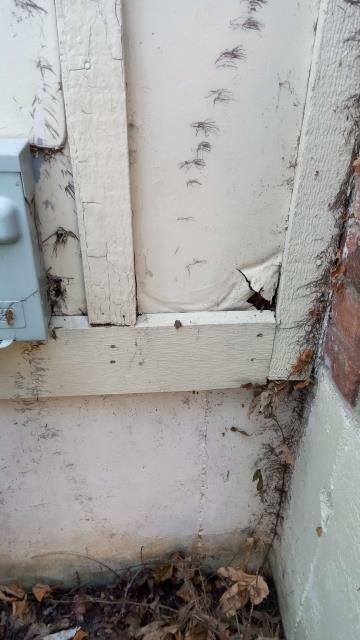 Repair siding as soon as possible to avoid wood rot, water damage and termites or other pests from damaging your home. Main bath remodel. 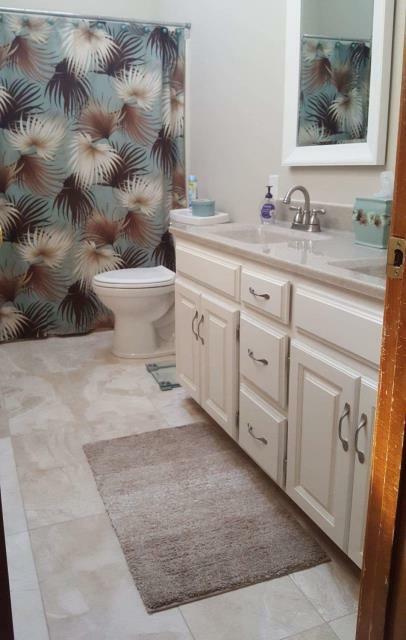 Installation of marble tile flooring, Onyx Collection double wave bowl vanity top, refinish cabinet base with warm cream Sherwin-Williams paint, new brush nickel draw/door pulls, new vanity mirrors in white, and brighting up the room with fresh paint and all new lighting fixtures. 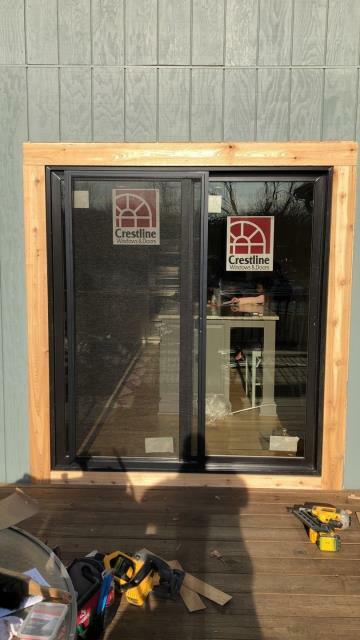 Installation of new black exterior framed Crestline patio sliding door with prefinished interior stained trim. 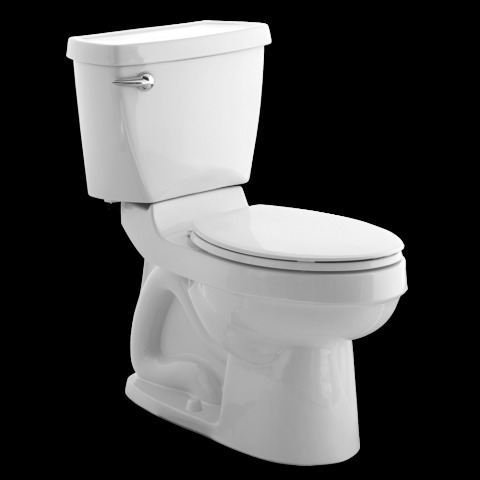 Installation of two new American Standard chair hight elongated toilets. Large living room window remove and replace with Simonton lifetime warranty windows. 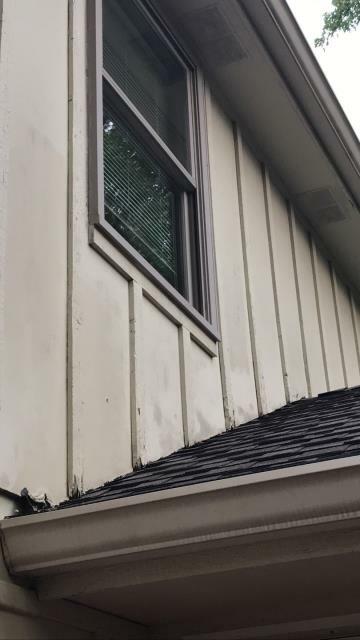 Removed living room window due to water damage and found extensive damage with wall cavity. Installed shower grab bar in master bath walk in shower stall. Install baseboard trim in basement living room. Originally removed after water damages due to faulty sump pump. Remove and replace home gutter system with all new K style Aluminum guttering and down spouts. 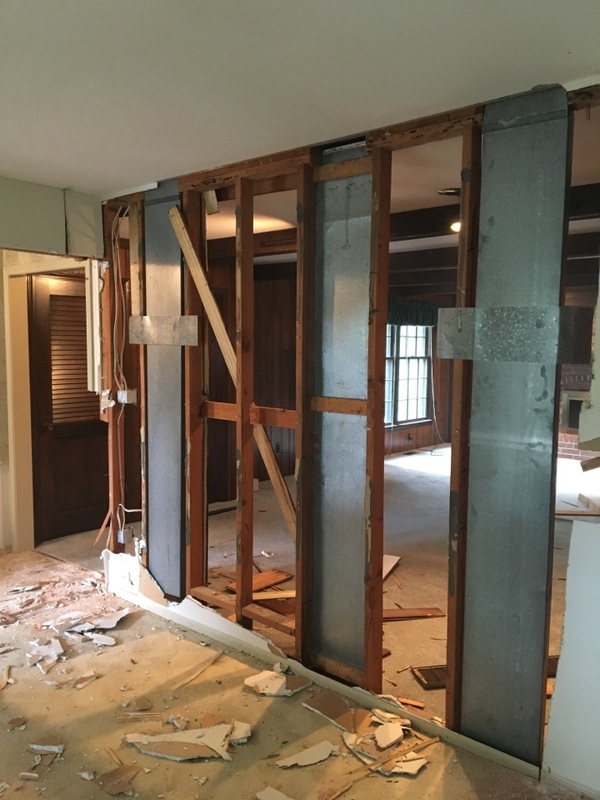 Wall removal and installation of load bearing header, creating an open concept.